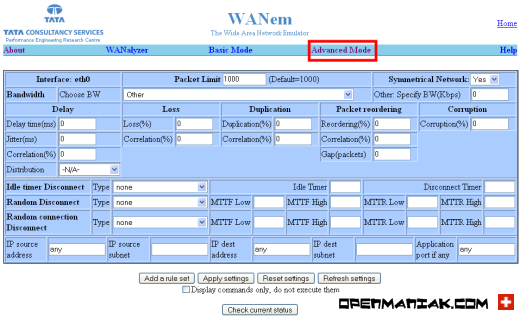 WANem offers an advanced mode where many settings can be applied to simulate the link of your choice. 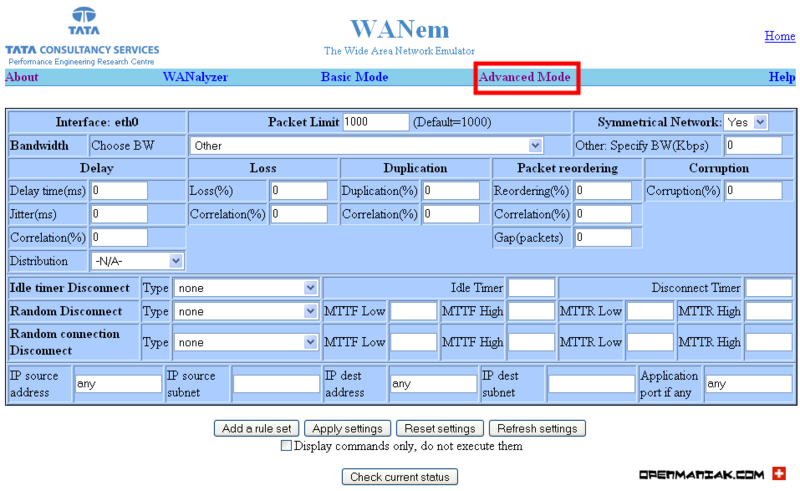 You can also check the WANem basic mode tutorial in your need only to set the bandwidth or delay settings. Click on the "Advanced Mode" link and select your ethernet interface. After the interface selection, you are ready to use WANem advanced mode. Choose your settings and then click on the "Apply Settings" button, this will apply the settings and start WANem.